Buy mazzmatazz a Coffee. ko-fi.com/mazzmatazz - Ko-fi ❤️ Where creators get paid by fans, with a 'Buy Me a Coffee' button. Hi, I'm mazzmatazz, and I'm passionate about Dungeons and Dragons, and making great content for that community! Thank you for visiting my page. 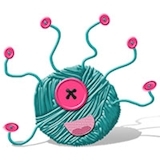 Donations will help me to keep producing yarn art! I'm also hoping to attend PAX West 2019, and your Ko-Fi donations will go towards helping me achieve that aim! I had an AMAZING time last year with my modron cosplay, and I want to make an even more incredible cosplay next time! Secured Payments. Support goes to mazzmatazz's account. Upgrade mazzmatazz to a yearly Gold Membership with a one-time payment.